The fraternity world experiences ‘creative destruction‘ much like for-profit companies in the business world. Like so many once highly successful companies, many of the best chapters eventually get complacent and give way to new innovative chapters willing to redefine the true fraternity experience. Designers found that what worked at a table didn’t work where many people use ketchup packets: in the car. So two years ago, Heinz bought a used minivan for the design team members so they could give their ideas a real road test. The team studied what each passenger needed. The driver wanted something that could sit on the armrest. Passengers wanted the choice of squeezing or dunking. 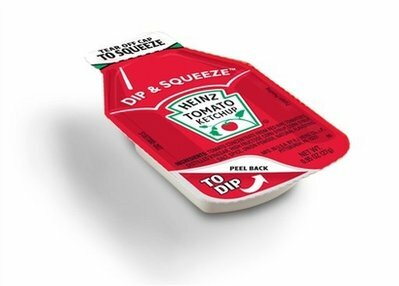 Moms everywhere wanted a packet that held enough ketchup for the meal and didn’t squirt onto clothes so easily. Heinz is rolling out the new packs this fall at select fast-food restaurants nationwide. It will continue to sell the traditional packets. Sure, the old ketchup packet had some problems: difficult to open, the occasional spontaneous explosion and maybe not much ketchup for the effort. But was it really worth the risk of changing something people had been accustomed to for decades? If it ain’t broke then why fix it, right? “If you are coasting, it means you are going downhill.” -C.P. Fulford Jr.